As unpredictable as nature can be, it's best to be prepared yourself. 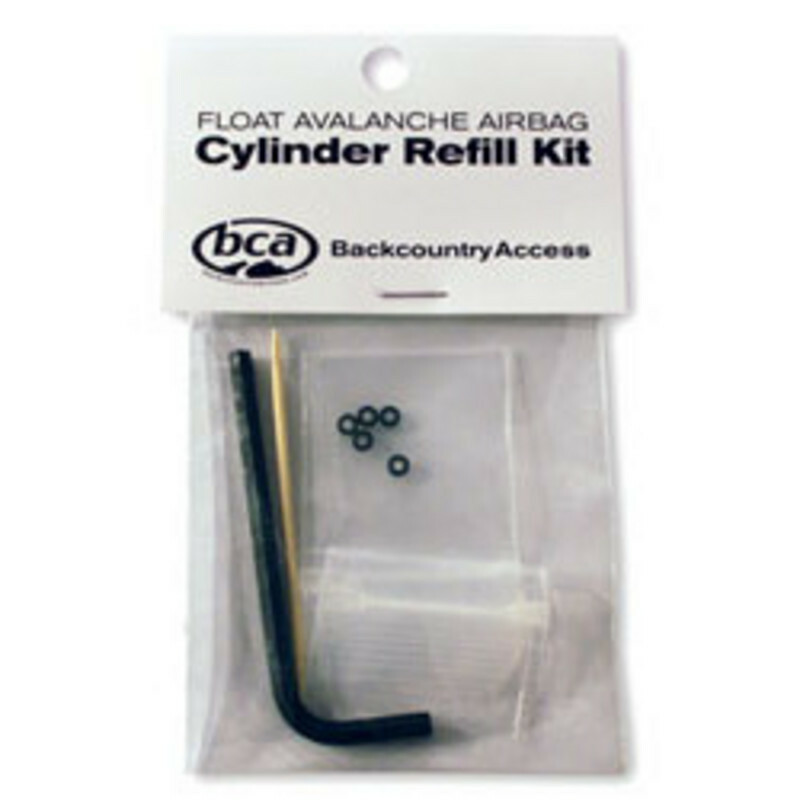 The BCA Float 2.0 Cylinder (Empty) is an essential component of avalanche safety, as well as BCA Float 2.0 System packs. To inflate the airbag, all you have to do is pull a trigger which activates a release of 3,000 psi of compressed air which simultaneously inflates your airbag. At a 30 percent smaller size, the cylinder adds less weight and takes up less space than prior models did, making it the latest and greatest in airbag technology. 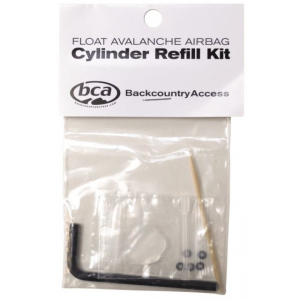 The refillable Backcountry Access Float 2.0 airbag cylinder is the driving force behind the BCA Float Airbag system, which helps keep you at or near the snow's surface in the event of an avalanche. The refillable BCA Float compressed air cylinder is the power and driving force behind our Float 2.0 avalanche airbag system. 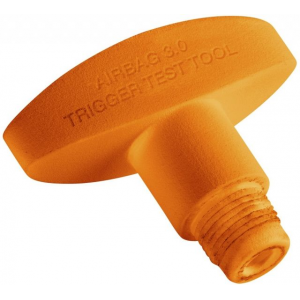 When the Float trigger is pulled, the Float 2.0 activates the release of 2,800-3,000 psi (207 bar) of compressed air, inflating the airbag. Always make sure your cylinder is full and connected correctly before heading out. Nearly 30 percent smaller and 15 percent lighter than our Float 1.0 engine, the Float 2.0 cylinder ensures a rapid fill when activated. 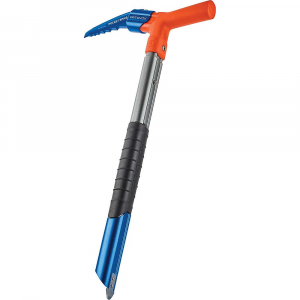 Backcountry Access Avalanche Safety Empty Float 2.0 Cylinder Airbag C1713012010. The refillable Float compressed air cylinder is the power and driving force behind our Float 2.0 avalanche airbag system. 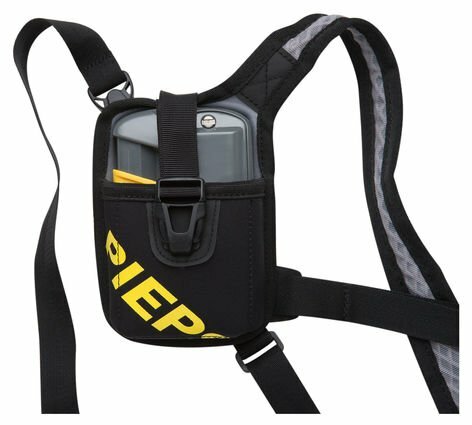 When the Float trigger is pulled the Float 2.0 activates the release of 2800-3000 psi (207 bar) of compressed air inflating the airbag. Always make sure your cylinder is full and connected correctly before heading out. 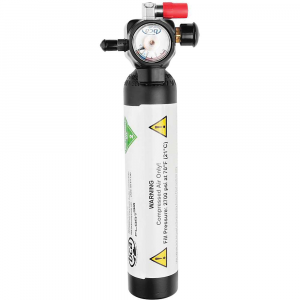 Nearly 30 percent smaller and 15 percent lighter than our Float 1.0 engine the Float 2.0 cylinder ensures a rapid fill when activated.Filled between 2800 and 3000 psi. Compressed air ONLYComes with Float Consumer Refill Kit (five o-rings allen key vacuum grease and toothpick) for refilling.